In 1872, the United States Congress created Yellowstone National Park, the first national park in the world, as a “pleasuring-ground for the benefit and enjoyment of the people” and for “the preservation, from injury or spoliation, of all timber, mineral deposits, natural curiosities, or wonders within said park…” Almost 100,000 acres of Yellowstone Park are located within Gallatin County. The inspiration of this early triumph may be partly responsible for Gallatin County’s rich tradition of conservation leadership from every level of government, the general public and individual landowners. Public and private preservation efforts are protecting Gallatin County’s ranchlands and fabled trout streams, like the East Gallatin River shown here. Although the National Park Service was the first federal agency to protect land in Gallatin County, the U.S. Forest Service is currently the largest landowner in the County, managing over 665,000 acres. Gallatin National Forest as a whole offers 2,200 miles of trails, 700 alpine lakes and 1,740 miles of fishable streams, many of which are “blue-ribbon” trout streams. Like its neighbor Yellowstone National Park, Gallatin National Forest provides habitat for many charismatic animals including grizzly bear, gray wolf, elk, Bighorn sheep, Canada lynx and bald eagle. Backpackers can explore two wilderness areas here while hikers can investigate the Gallatin Petrified Forest, unusual because many of the trees have been petrified in an upright position. Montana state agencies manage another 61,000 acres in Gallatin County, such as the Missouri Headwaters State Park, which preserves land at the confluence of the three rivers that join here to form the Missouri River: the Madison, Jefferson and Gallatin rivers. The scenery and wildlife are largely unchanged since Lewis and Clark reached this spot in 1805. Various organizations, including the Montana Land Reliance, Gallatin Valley Land Trust, The Nature Conservancy and Montana Fish, Wildlife and Parks hold conservation easements on roughly 67,000 acres of private land in Gallatin County. About half of this land is within the Gallatin County portion of the Flying D Ranch, where its owner, Ted Turner, raises bison and outfits hunting and fishing trips. In total, land owned by federal and state agencies or under conservation easement accounted for almost half of Gallatin County’s total land area at the dawn of the new millennium. Nevertheless, citizens were concerned about the rapid pace of development occurring on the other half. Fueled by world-class fishing, skiing and other outdoor pursuits, roughly one-fifth of the County’s privately-owned lands, were converted from farming between 1978 and 1992. In 2000, voters authorized Gallatin County to issue up to $10 million in bonds for open space preservation. In 2004, the voters authorized another $10 million for open space bonds. The bond money gives Gallatin County a distinct advantage in securing federal matching funds. In addition, private foundations have made significant contributions and some participating landowners have essentially made large donations as well by selling their easements for a fraction of their appraised value. So far, the Gallatin County Open Lands Program has demonstrated tremendous success at stretching limited preservation funding, placing almost 30,000 acres of ranchland under easement as of 2008 while using only $12 million of its bonding authority. 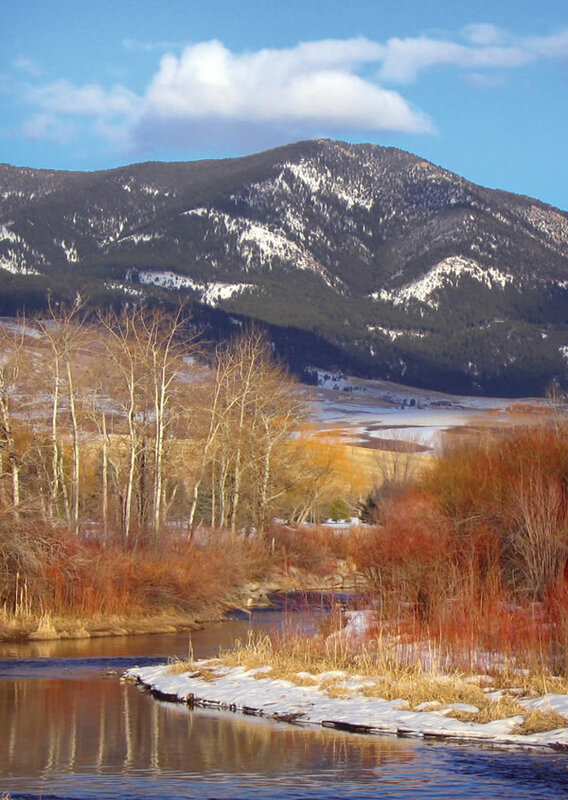 In addition to conservation easements and voter-approved bonds, Gallatin County is the only community in Montana currently using the preservation tool of transferable development rights. In the Middle Cottonwood Zoning District, TDR is used to encourage the voluntary preservation of habitat, specifically mule deer winter range. In the Bridger Canyon Zoning District, one TDR provision allows the concentration of development at the base of the Bridger Bowl Ski Area. Another provision of the Bridger Canyon Zoning District promotes the preservation of remote open space parcels that would be difficult and expensive to develop. In 2005, Gallatin County was recognized by the Trust for Public Land and the National Association of Counties with their County Leadership in Conservation Award. But the significance of the County’s preservation efforts extends beyond its borders. Although many individual landowners in Montana have embraced conservation easements as a way of preserving agricultural and environmental treasures, relatively few communities in Montana have stepped forward with the money and tools to help these property owners. However, communities throughout the Mountain West are undoubtedly watching these efforts with great interest. Following Gallatin County’s success, three other Montana counties (Missoula, Lewis & Clark and Ravalli) have also passed $10-million open space bond measures.